Most everyone loses or misplaces their key at some point. 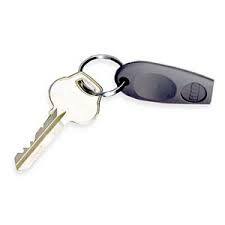 Keeping one or more backup keys in a safe place is a good way to avoid needing a locksmith. It is not uncommon to provide copies of keys to friends and family. During a renovation project keys may have been given to a contractor who in turn may have made copies for others. The contractor may have returned the key to you at the end of a renovation but neglected to deliver extra sets they made for those working on the project. Keys in the hands of undocumented individuals who should not have unrestricted access to a condo building is a security problem. Magnify this by 200 or more suites in a building and the security risk is significant. Keys are no longer a form of security when anyone can duplicate or steal them. Keys can be duplicated at nominal cost in many locations or by utilizing an app that will scan your keys and send copies to you in a few days. Managing keys and fobs is a central part of condo security. Piero Romani, of Securitas Canada, advises that “Card access systems and fobs can also be duplicated. Fortunately, they can provide a trail of their usage and can be deactivated at the first sign of misuse or abuse.” These systems can be expensive to implement which is why they are often limited to main entrances.